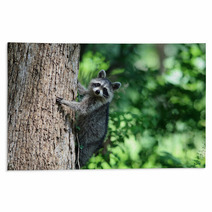 The A Raccoon Climbing A Tree. 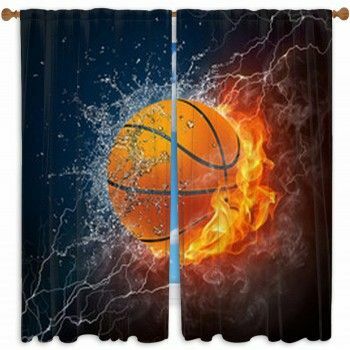 decorative pattern is conveniently available in a variety of decorative products from wall murals, to pillows, to custom size rugs and drapes, and even photographer backdrops or bath mats. 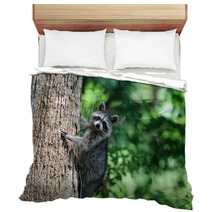 Entire Raccoon themed collections are available for your bedroom, bathroom and almost any room in your house. Have you thought about an area rug for your family area? We can change the background color or any color within this pattern to ANY color you like. 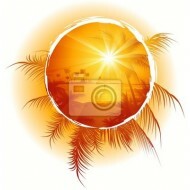 We can also digitally add a personalized message anywhere within the design. Our personalization choices are pretty much unlimited. 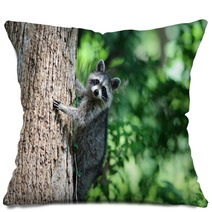 Let us customize the accessory objects or the main object within this specific A Raccoon Climbing A Tree. pattern. 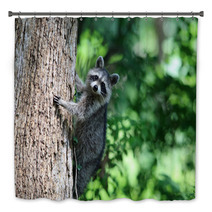 Baby Room decorating with A Raccoon Climbing A Tree. baby decor. Babies adore sleep. The baby bedding you purchase will be baby’s most familiar contact for years! Try to give the baby bedding they adore so they are cozy every night. When your little one gets bigger, you just might have a child who wants to go to bed! Here’s an idea: Pick primary colors instead of pale pastels. Babies cannot detect most non-primary colors very easily. Any diversity of bedding design could make your baby content. 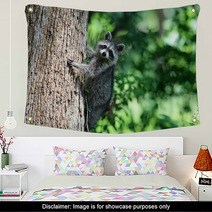 Try to select something exciting like this A Raccoon Climbing A Tree. 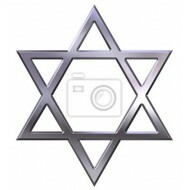 design! Your baby is your everything. 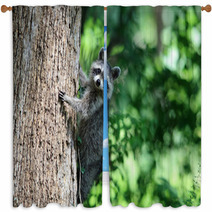 Play around with different Raccoon themed baby bedding to discover the one that your baby feels most at home. If the baby remembers and begins to create a relation with their mattress, they won’t feel the need to wake you up at 4am! A baby’s bed is your little one’s little room, so fill it up with designs. Try to stir patterns and colors to let your baby see all sorts of beautiful visuals. 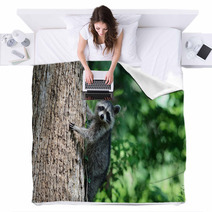 Balancing The Wall And Your Raccoon Design. 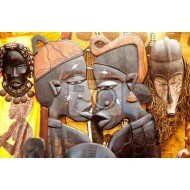 Make sure the center of your wall art hangs at eye level. 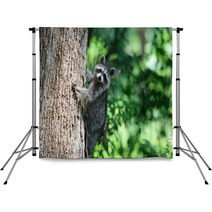 If you host visitors, average their heights and hang it there! Your wall decor is primarily for your enjoyment. It describes you, and should be shown off in the most aesthetic way.